The Hyundai Santa Fe rolled into 2019 with a complete redesign. 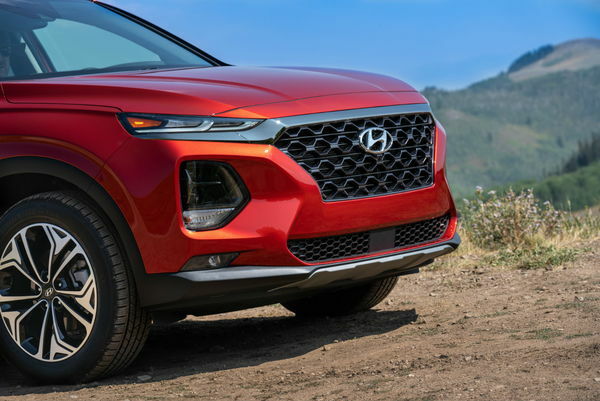 Because of this recent redesign, we expect no big changes to the 2020 Hyundai Santa Fe. 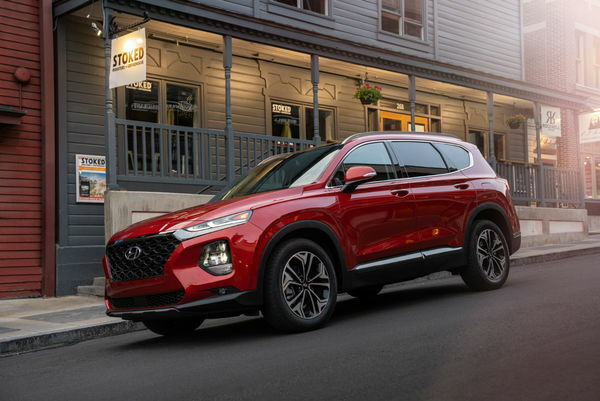 The 2019 Hyundai Santa Fe went through a huge transformation that ushered in a new and more aggressive look that mimics the Kona subcompact crossover. This new look includes thin headlights, a bold grille, exaggerated fog light housings, a more upright liftgate, and sharper body lines. With this being the new design language of Hyundai’s crossovers, we expect no changes to the 2020 Hyundai Santa Fe. 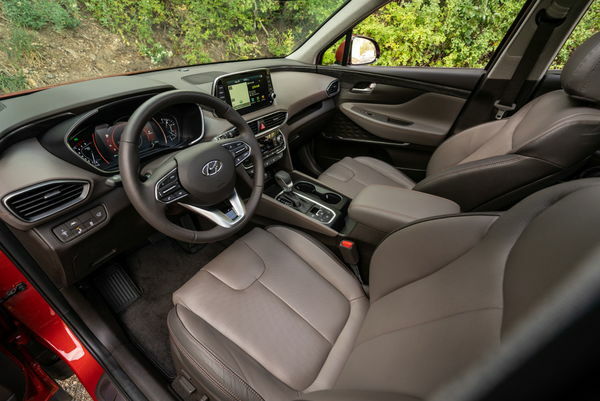 Inside, the angular shape of the new Santa Fe body continues with plenty of sharp edges throughout the cabin. 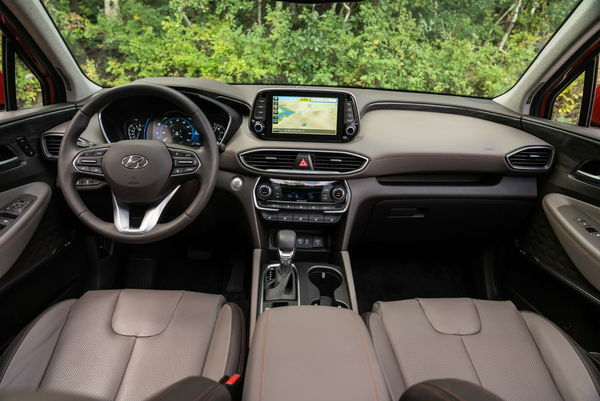 Hyundai also wrapped the dash tighter around the passenger and driver, giving them cocoon-like areas outlined by a chrome shoulder moulding. Between these two cocoons is a standalone infotainment system and climate controls with minimal buttons and knobs cluttering things up. 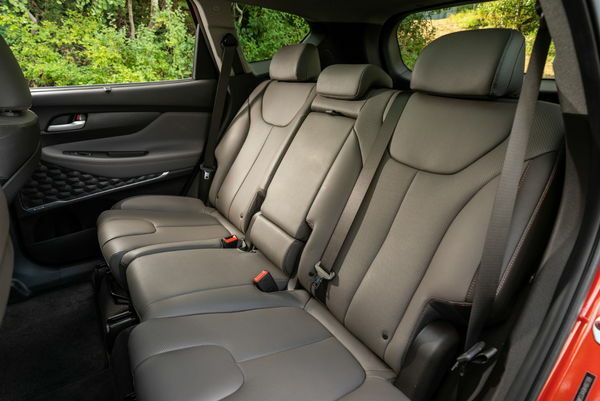 Like the exterior, we expect no changes to the 2020 Hyundai Santa Fe’s interior. With no anticipated changes in the works, we also expect the standard features to remain the same on the 2020 Santa Fe. 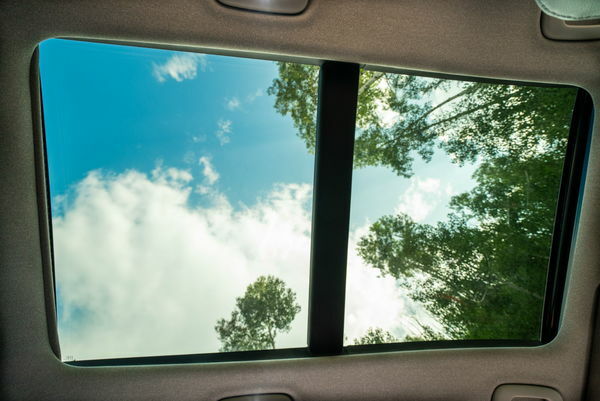 If this is the case, it will come standard with 17-inch alloy wheels, LED daytime running lights, front and rear USB ports, Bluetooth, cloth upholstery, a 7-inch touchscreen, Apple CarPlay, Android Auto, and more. We also expect no changes to the 2020 Hyundai Santa Fe’s greasy drivetrain bits. This would mean the 185-horsepower 2.4-liter engine will remain the standard powerplant while the 235-hp 2.0-liter turbocharged four-cylinder will still be an option. 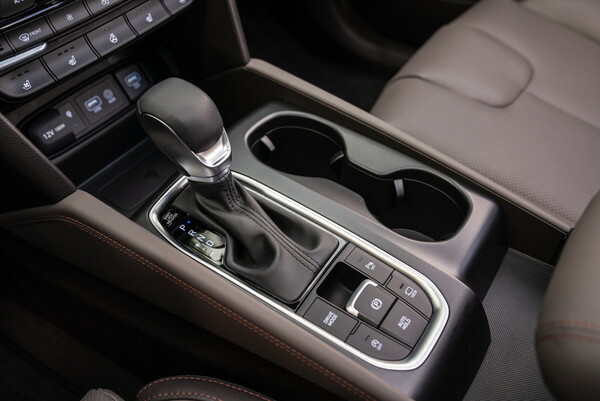 No matter the engine, we expect all 2020 Santa Fe models to come standard with the same eight-speed automatic transmission and front-wheel drive. All-wheel drive is expected to remain an option on all trims. The IIHS has yet to toss the 2019 Santa Fe against a wall, so there are no official safety ratings on it. That said, it comes standard with the required automatic emergency braking to be a Top Safety Pick+. 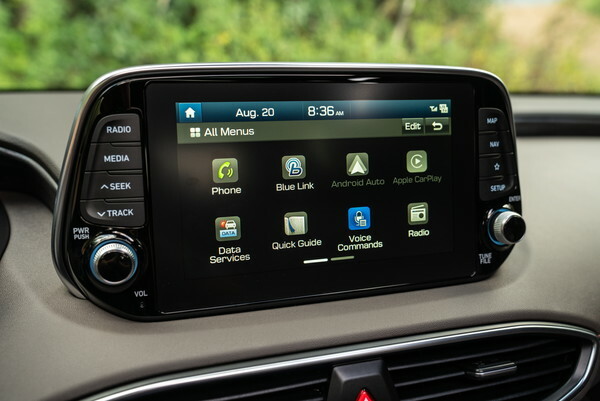 It also includes standard blind-spot monitoring, adaptive cruise control lane-keep assist, rearview camera, and rear cross-traffic alert. 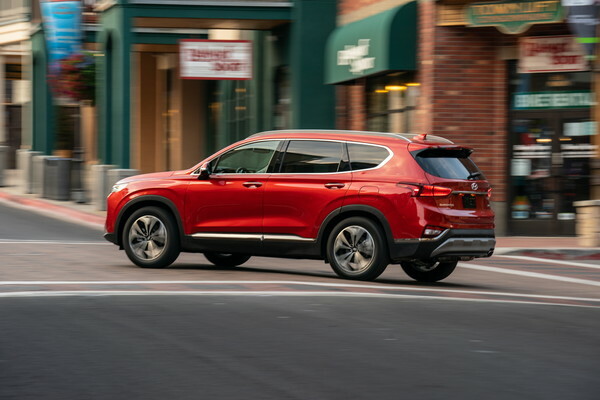 We anticipate no changes in the safety equipment for the 2020 Hyundai Santa Fe. There is no official release date for the 2020 Hyundai Santa Fe just yet, but we should have more information soon. Check back often for updates. 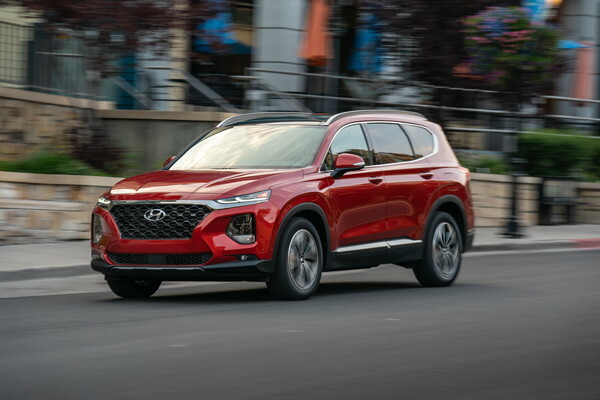 With no changes on the horizon, we expect the 2020 Hyundai Santa Fe to carry an MSRP range close to the current model’s pricing schedule of $26,480 to $39,780 (destination fees included). The 2020 Hyundai Santa Fe will compete against the Ford Edge, Kia Sorento, and Volkswagen Tiguan. We have partnered with trusted dealers in your area to give you a great price on the new Hyundai Santa Fe. 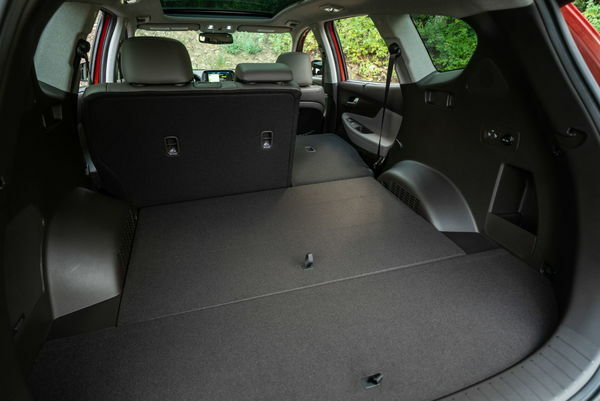 We have information you must know before you buy the Santa Fe.